Cancer has impacted our lives, the lives of our patients and likely you. Although we don’t always understand it or can treat it, we find hope in knowing we can fight it. Since 2000, Sound Family Medicine has participated in the American Cancer Society (ACS)’s largest fundraiser, Relay for Life. It started with a small, yet mighty, committed group of staff and quickly grew. In 2002, the physician-owned practice became a sponsor of the event and hasn’t missed a year since. 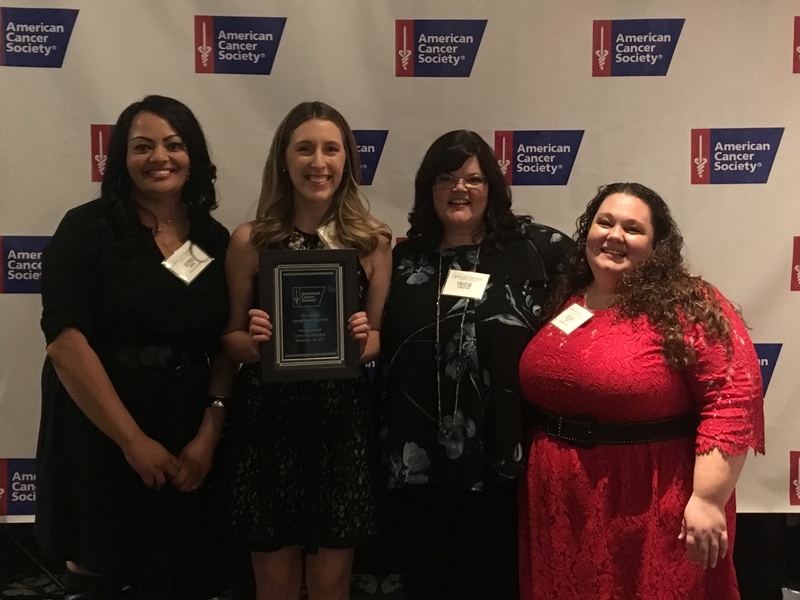 When Sound Family Medicine’s Team Captain, Chris Hugo, was notified that she had been selected for the American Cancer Society’s Passion Award for her role in further fostering the partnership between Sound Family Medicine and Relay for Life, she was amazed. “I can’t think of a better recipient of the Passion Award than Chris Hugo and Sound Family Medicine. Their support of the American Cancer Society over the years, through event sponsorship and employee fundraising has had a huge and positive impact on the lives of patients fighting cancer, right here in Puget Sound.” Ryan Whisnant, American Cancer Society’s Health Systems Manager shared. In addition to an annual cash sponsorship by the organization, Sound Family Medicine employees can participate in Casual Friday at work when they make a $5 donation to the American Cancer Society. The generosity from providers and staff has helped to raise over $140,000 over the last 17 years. The Sound Family Medicine Relay for Life team has also helped to organize fundraisers such as A Pie in the Face for Cancer where staff challenged their peers – even CEO, Denise Martel, to donate to raise awareness. Relive the moment with us by watching the video below. 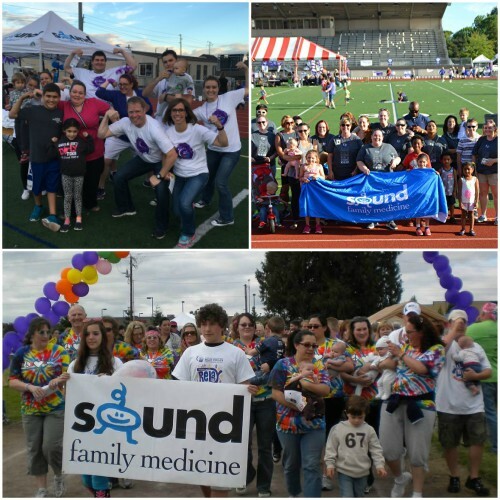 Sound Family Medicine will participate in their 18th Relay for Life event on Friday, July 20th at Sunset Chevrolet Stadium in Sumner. To learn more about Relay for Life, make a donation or to join the Sound Family Medicine team, please click here.